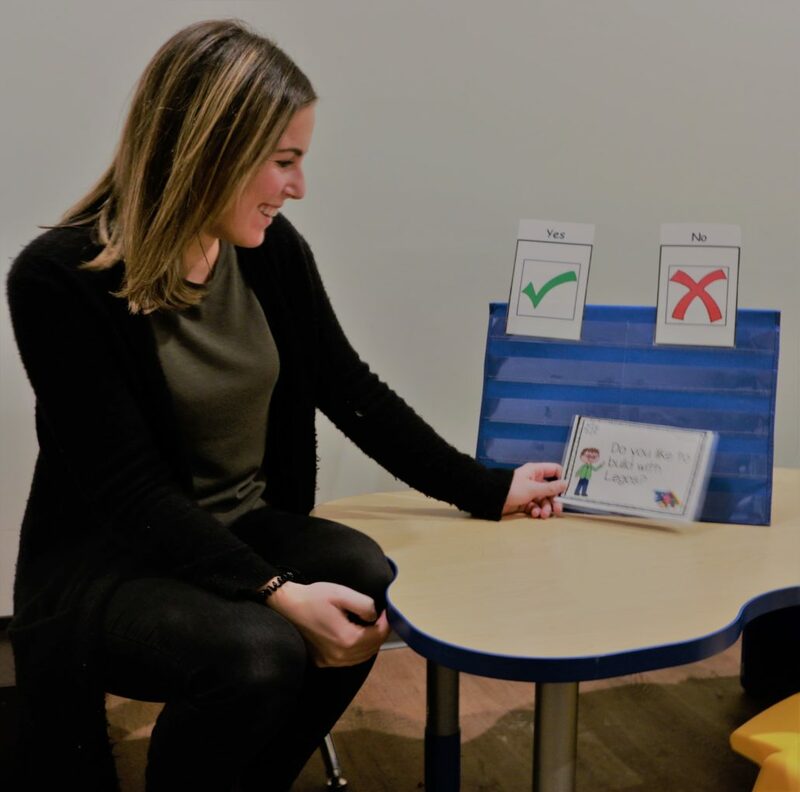 Speech therapy interventions vary from providing a nonverbal child with a way to communicate to supporting social skills during peer interactions. Each team member at Blue Bird Day has a unique specialty of focus that allows for treatment plans to be tailored to each child. Sara Gotlieb specializes in receptive and expressive language disorders, phonological and articulation disorders, early intervention, Picture Exchange Communication System (PECS), and PROMPT. Tina Rakowski specializes in childhood apraxia of speech, articulation and phonological disorders, expressive and receptive language delays, social-pragmatic communication, oral motor feeding deficits, and group-based intervention. Julia Lamb specializes in phonological and articulation disorders, expressive and receptive language disorders, specific language impairment, cleft palate/craniofacial disorders, AAC, fluency and sensory feeding. 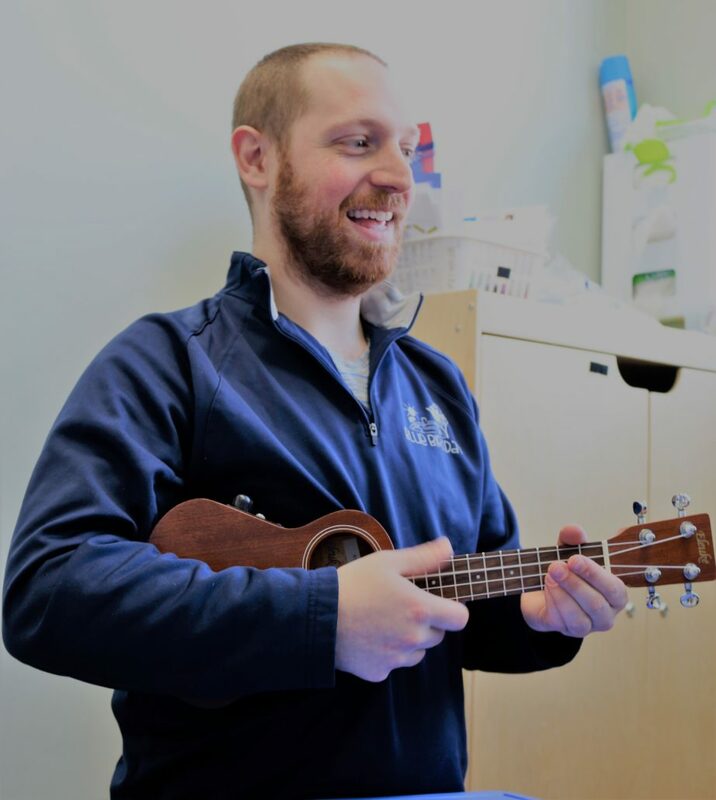 Eric Ross specializes in music therapy and creative expression. Amanda Bird specializes in DIR/Floortime, early language acquisition and development, expressive and receptive language disorders, fluency, autism spectrum disorder, and parent coaching. Amber Ray specializes in receptive and expressive language disorders, Picture Exchange System (PECS), and early language development. 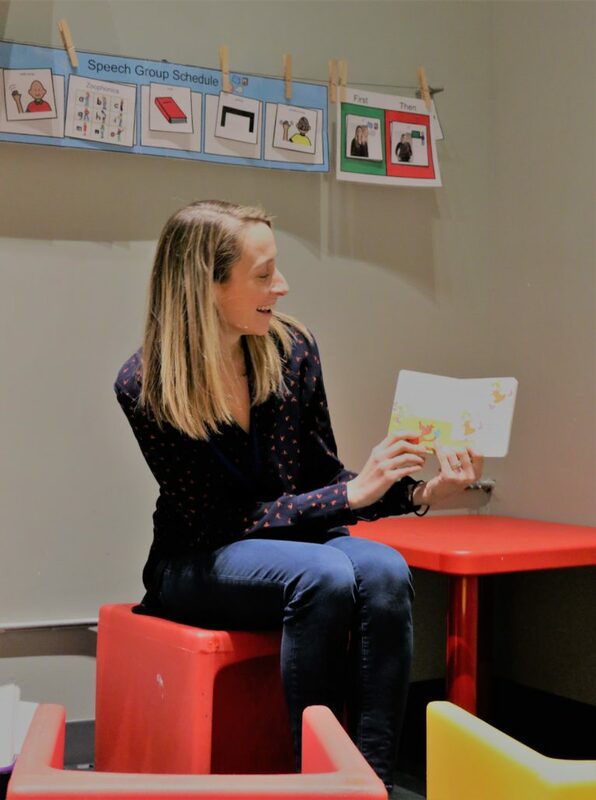 Ashley Perkins specializes in social language groups, early literacy, early expressive and receptive language intervention (particularly with children learning English as a second language). Lindsay Terrien specializes in pediatrics. Grace Kerrigan specializes in receptive and expressive language disorders, AAC, and early language development. Rebecca Henaghan specializes in early intervention, DIR/floortime, receptive and expressive language delays, articulation and phonological disorders, autism, fluency, and social skill pragmatics. She is American Speech-Language-Hearing Association (ASHA) certified. Together, the SLP team seamlessly collaborates with each child’s therapeutic team to facilitate best practices for supporting communication throughout a child’s day. The therapists understand the whole child and how other skill areas can impact communication. How is Speech Therapy incorporated into the day? Speech therapy at Blue Bird Day produces better results because of the intensity and frequency of therapy incorporated into the therapeutic rotation and individual services offered. Speech-Language Pathologists lead group therapy sessions in both preschool-like and kindergarten-like programs. As part of each child’s therapeutic rotation, they will encounter peer interactions, socialization and individual skill building. Therapists address all language, articulation and cognitive challenges each child may have in order to facilitate change. They even get messy with the kids at lunch time and help them explore new foods and how to eat them. Therapists incorporate play to work on oral motor skills, such as moving your lips, tongue or jaw in a specific way. In addition to the therapeutic day, Speech-Language Pathologists spend time with families to discuss goals and provide parent coaching. Speech-Language Pathologists use a variety of interventions and strategies to achieve results with their clients. All of our therapists are well-practiced in language facilitation strategies, theories of language development, and core vocabulary instruction. PROMPT is a tool that utilizes a tactile approach, such as touching parts of the face, jaw and lips to support oral motor development and speech intelligibility. Zoophonics is a multi-sensory approach that is a fun and effective way for children to learn the alphabet, spelling and reading. When needed, Augmented or Alternative Communication (AAC) systems can be introduced to facilitate communication, including the Picture Exchange Communication System (PECS) or speech-generating devices. What are the goals of Speech Therapy? 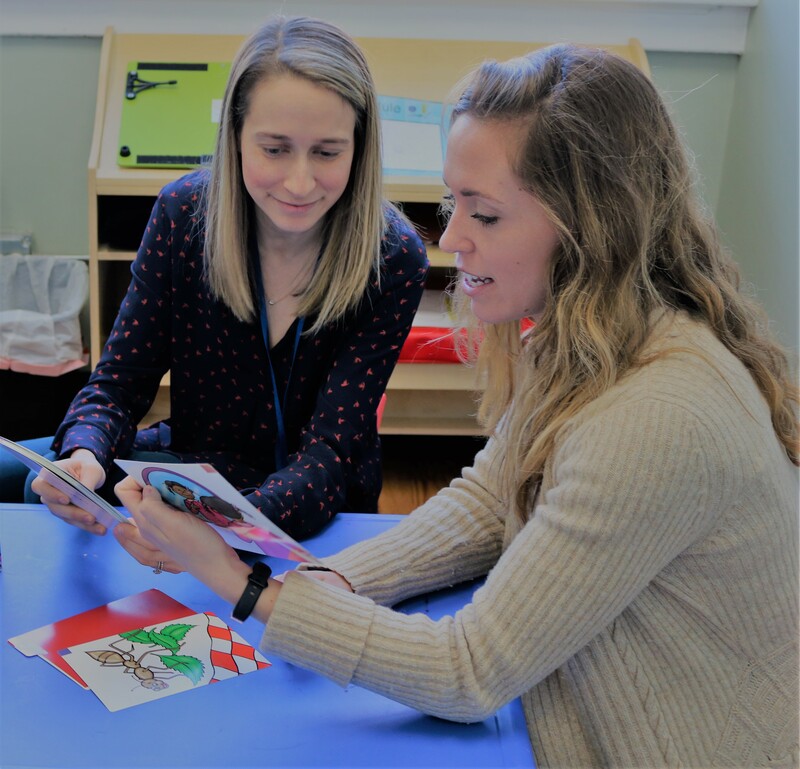 Speech-language pathologists collaborate with the multi-disciplinary Blue Bird Day therapeutic team to create individualized treatment plans for each child. The goal for speech therapy is for each child to achieve effective, functional communication. Children should be able to send and receive message correctly and with ease. The SLP team is also dedicated to parent education about typical language development and modes of communication.